The LJ2A3-4ZBX is an inductive sensor which is used as an indicator of position or proximity of ferrous or metallic materials, it can be an excellent support in the design of sumo robots to detect the opponent, as well as in processes where it is required to count or detect metallic or ferrous objects. The LJ2A3-4ZBX is widely used in the industry for process control. When the LJ2A3-4ZBX is close to a metallic object, its output sends a control signal in addition to having a status indicator LED which visually supports us in the detection. It can also be used as a turn counter in a gear or metal wheel. 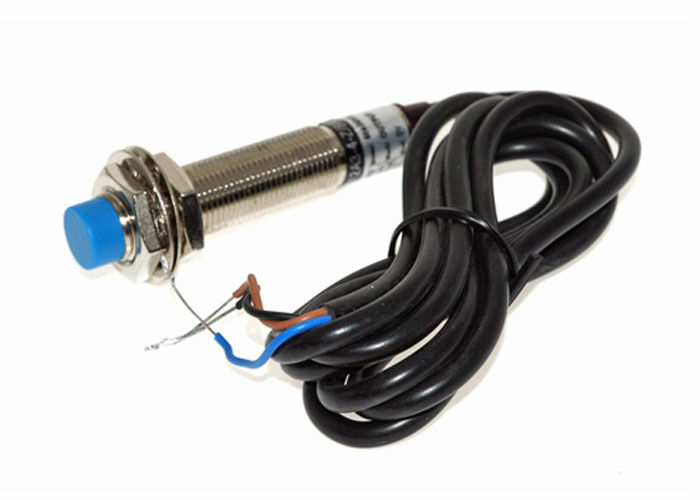 It has the advantage of being able to be fed in a voltage range of 6 - 36 VDC , besides generating a response up to a speed of 500 Hz its cylindrical shape with a standard size M12 also makes it very easy to install as it also has two clamping nuts. The connection cable is 1.2 meters long. Special requirement orders, delivery time is negotiable. 2.If the products can’t work after receiving it,what should I do? We will replace new items for you at once, and respect your final decision for wrong goods. 3.If the products don’t meet my demand after I received it,can I return it? You can return back to us, we will refund your full payment.